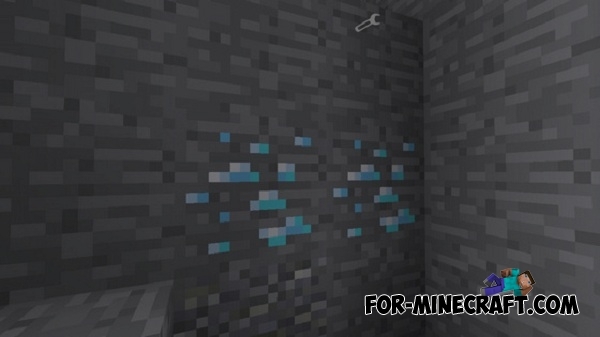 You can easily find diamonds, gold, iron, or any other ores by using Mining Easy mod. The screen will display the text during movement around the world, which changes depending on the ore. Find the precious ore is no longer a problem. Why spend hours searching for a diamond when you can find them in a matter of seconds? 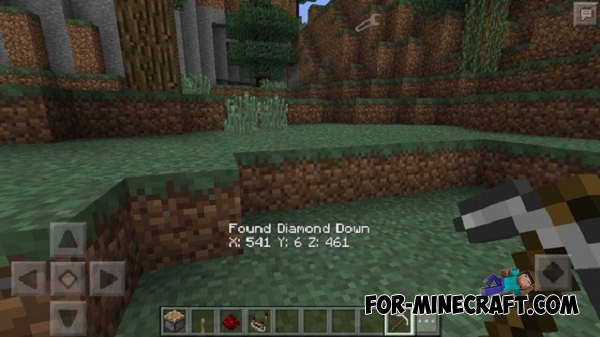 How to find precious ore, for example the diamonds? A text message with information about the ore will be displayed in the center of the screen. Just dig down in the this place and will soon find the necessary ores (see screenshots below). You do not have to dig a hole to get the ores. Alternatively, you can use X-Commands mod for MCPE 0.15 for teleportation (command: / teleport ), to get there.